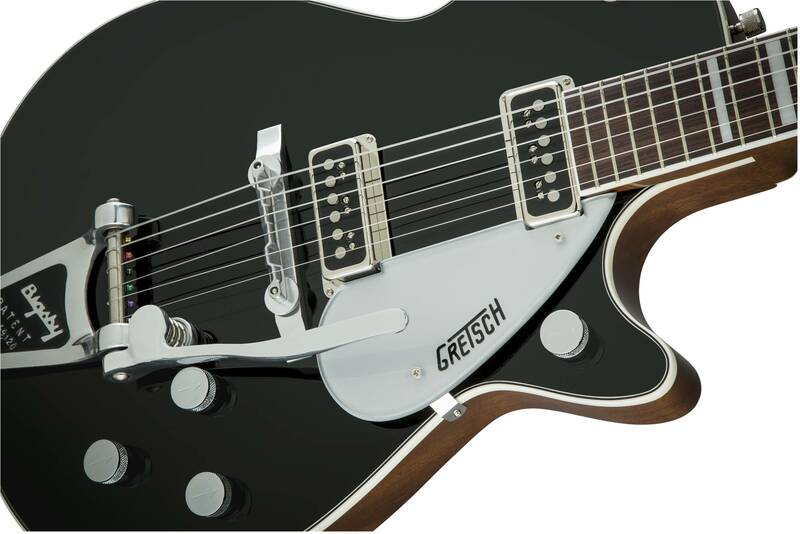 Gretsch couldn’t be more delighted to honor original-era master Cliff Gallup, whose tastefully fleet-fingered work hot-rodded dozens of classics by Gene Vincent and his Blue Caps in the latter half of the 1950s. 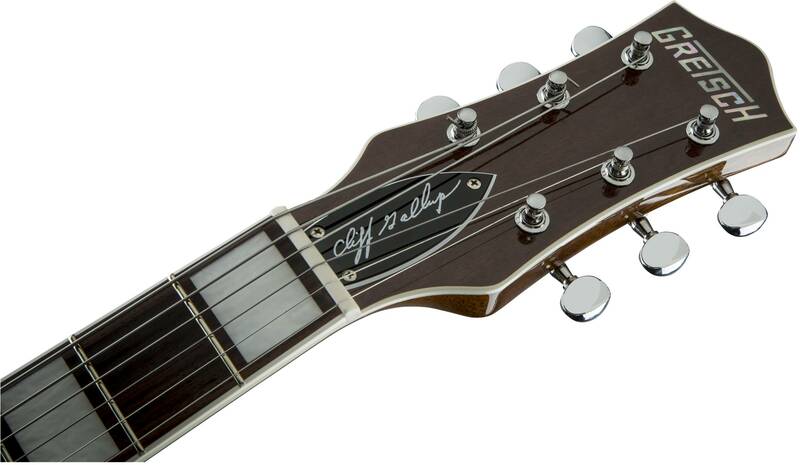 Soft-spoken in manner, Gallup was anything but with a Duo Jet™ in his hands, turning in solos and backing tracks of startling proficiency and truly raising the bar (and the roof) for rockabilly and early rock ‘n’ roll guitarists. 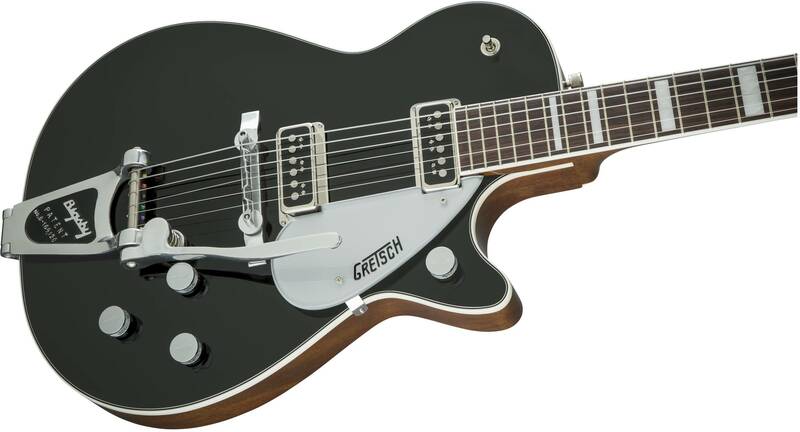 With Gretsch’s G6128T-CLFG Cliff Gallup Signature Duo Jet™, any race with the devil is one you’re sure to win. 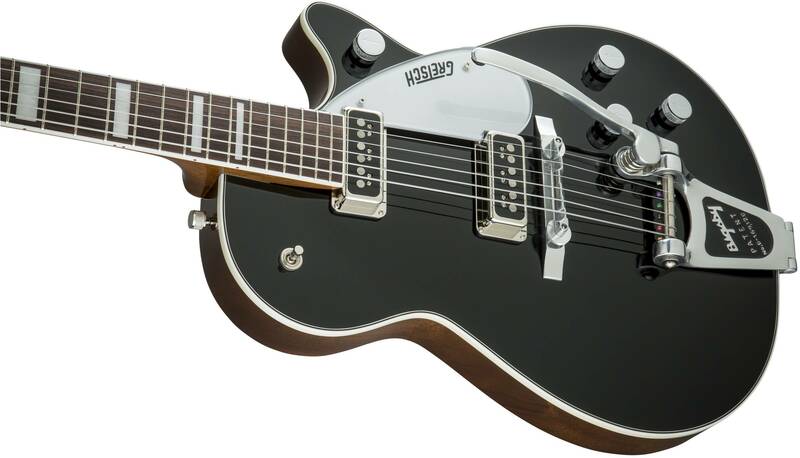 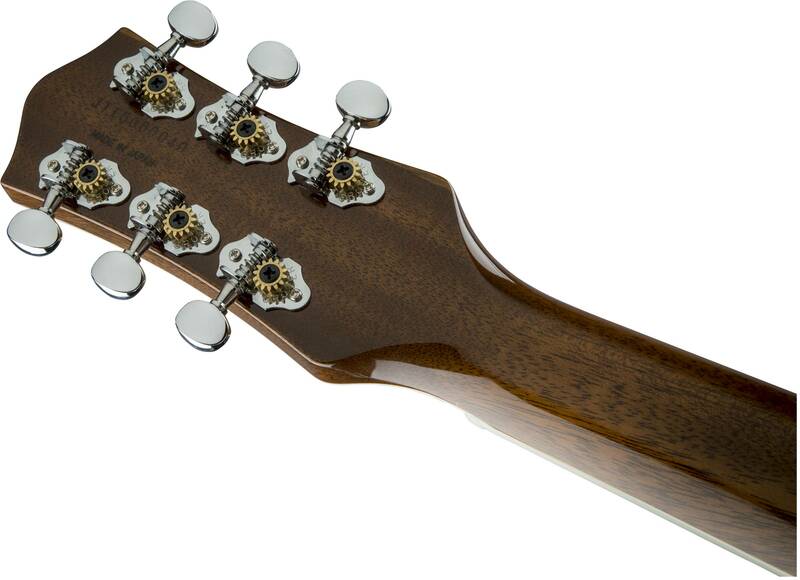 A finely crafted celebration of Gallup’s 1954 model, it rocks all the essential ingredients of his time-honored signature sound, including dual DynaSonic™ pickups, rosewood fingerboard with “Big Block” pearloid inlays, compensated aluminum bridge with aluminum base, Bigsby® B3BBST vibrato tailpiece with black painted trough and fixed arm, classic “arrow” control knobs, flat-wound strings, and a dark-stained headstock bearing Gallup’s signature on the truss rod cover.